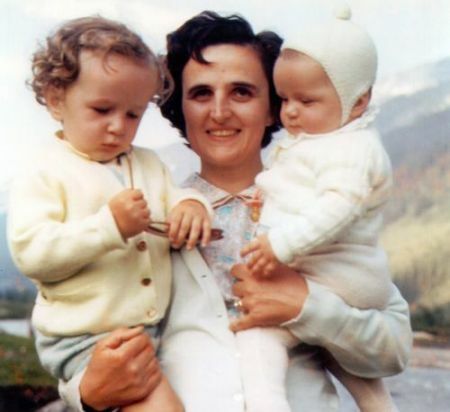 Saint Gianna Beretta Molla was born in Magenta (Milan), Italy, on 4 October 1922, the 10th of 13 children. Already as a young girl she willingly accepted the gift of faith and the clearly Christian education that she received from her excellent parents. As a result, she experienced life as a marvellous gift from God, had a strong faith in Providence and was convinced of the necessity and effectivneess of prayer. She diligently dedicated herself to studies during the years of her secondary and university education, while, at the same time, applying her faith in generous apostolic service among the elderly and needy as a member of the St. Vincent de Paul Society. After earning degrees in medicine and surgery from the University of Pavia in 1949, she opened a medical clinic in Mesero (near Magenta) in 1950. She specialized in pediatrics at the University of Milan in 1952 and thereafter gave special attention to mothers, babies, the elderly and the poor. While working in the field of medicine—which she considered a "mission" and practiced as such—she increased her generous service to Catholic Action, especially among the "very young" and, at the same time, expressed her joie de vivre and love of creation through skiing and mountaineering. Through her prayers and those of others, she reflected on her vocation, which she also considered a gift from God. Having chosen the vocation of marriage, she embraced it with complete enthusiasm and wholly dedicated herself "to forming a truly Christian family." She became engaged to Pietro Molla and was radiant with joy and happiness during the time of their engagement, for which she thanked and praised the Lord. They were married on 24 September 1955 in St. Martin's Basilica in Magenta, and she became a happy wife. In November 1956, to her great joy, she became the mother of Pierluigi; in December 1957 of Mariolina; in July 1959 of Laura. With simplicity and equilibrium she harmonized the demands of mother, wife, doctor and her passion for life. In September 1961, towards the end of the second month of pregnancy, she was touched by suffering and the mystery of pain; she had developed a fibroma in her uterus. Before the required surgical operation, and conscious of the risk that her continued pregnancy brought, she pleaded with the surgeon to save the life of the child she was carrying, and entrusted herself to prayer and Providence. The life was saved, for which she thanked the Lord. She spent the seven months remaining until the birth of the child in incomparable strength of spirit and unrelenting dedication to her tasks as mother and doctor. She worried that the baby in her womb might be born in pain, and she asked God to prevent that. A few days before the child was due, although trusting as always in Providence, she was ready to give her life in order to save that of her child: "If you must decide between me and the child, do not hesitate: choose the child—I insist on it. Save the baby." On the morning of 21 April 1962 Gianna Emanuela was born. Despite all efforts and treatments to save both of them, on the morning of 28 April, amid unspeakable pain and after repeated exclamations of "Jesus, I love you. Jesus, I love you," the mother died. She was 39 years old. Her funeral was an occasion of profound grief, faith and prayer. The body of the new blessed lies in the cemetary of Mesero (4 km. from Magenta). St. Gianna is a patron saint for mothers, physicians, and unborn children.